Cecil remarks that in the light of this story he is anxious and it is ‘rather morbid’ but Daphne assures him that the other autographers are all still alive. 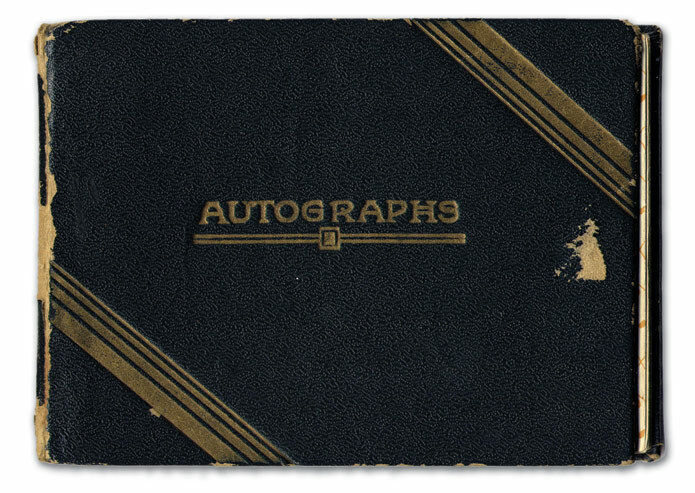 His anxiety proves to be well-placed – he will die several years later in the war and the autograph album will be a part of the remembering of him. Equally ‘morbid’ will be the effigy of him built by his mother in the family chapel. Tellingly, Daphne’s own ‘memoir’ is a series of stories about her encounters with famous people. Memories, Hollinghurst reminds readers throughout the novel, cannot be trusted. In the final section, Paul Bryant disputes Dupont’s description of the colour of Peter Rowe’s Imp, claiming it was beige, not pea-green (541). A trivial difference; but we know that Paul Bryant has remembered wrongly – he notes the ‘pea-green’ Imp forty years earlier (307). If the incident has a function, it may be to call Paul’s memory into question, which is important as it Paul is the one exposing people’s lives as a biographer. Paul’s main source for the tell-all biography of Cecil is Daphne’s brother, George, and his memory is the least reliable of all; he has dementia. Yet dementia makes him extremely candid; unlike the other interviewees, he hides nothing, holds nothing back, telling Paul whatever he remembers. Hollinghurst introduces a further level of unreliability by presenting the interview with George as a diary entry reconstructed from memory by Paul soon after the event; the battery in his tape recorder had gone flat, meaning the interview was not recorded. There are just some sketches around the theme of memory running through the novel. It is a useful approach; more than any other unity (except perhaps the character of Daphne), the novel has unity around the theme of memory. Indeed, perhaps a more obvious title for the novel would be Remembering Cecil.